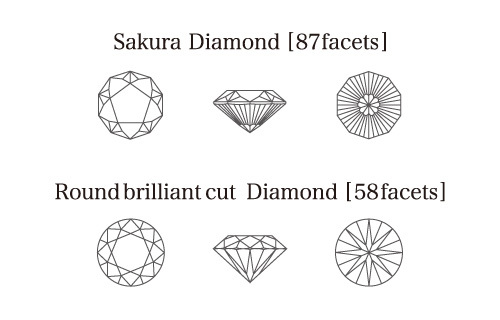 The beautiful Sakura diamond, representing a cherry blossom, is cut by only highly skilled diamond cutters. 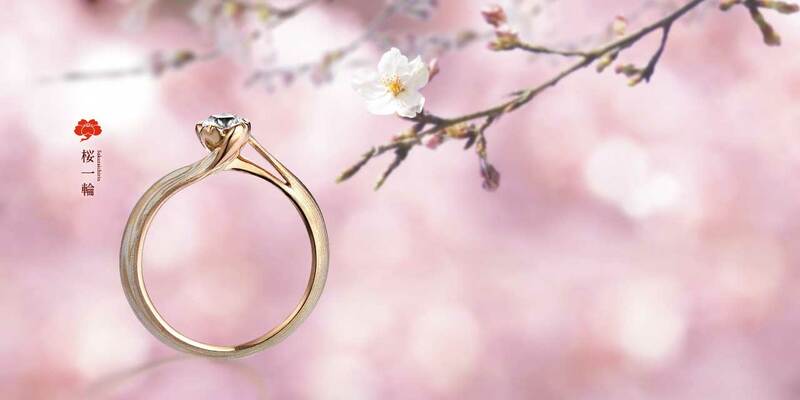 The unmatched effect of the Sakura cherry blossom is achieved by the skillful cutting of 87 facets into the diamond, many more than the traditional brilliant cut. Creating a Sakura diamond requires highly skilled technique, as well as much time and effort. 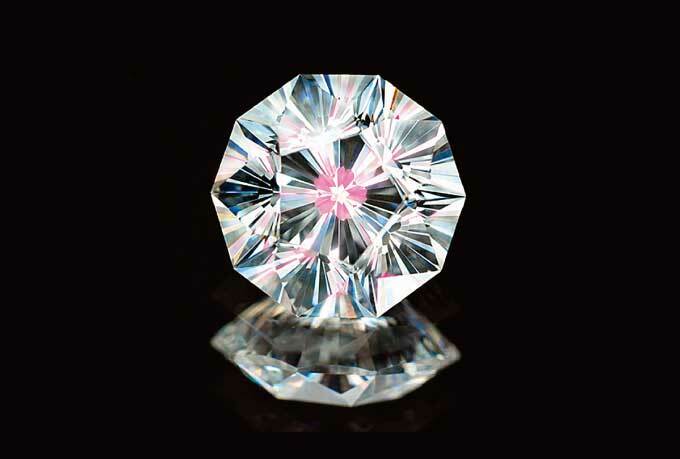 The Sakura diamond has 87 facets, 29 facets more than for the general round brilliant cut, which has 58 facets. In order to fully express the beauty of Sakura petals in the diamonds, we only use stones of VS clarity or better. *The text is only in Japanese but you can see more images/photos.